Back: Steve Tusman (Davis’ Mgr), Ben Vaughn (Warner/Chappell), Alicia Pruitt (Warner/Chappell), Blain Rhodes (Warner/Chappell), Arlis Albritton (Davis’ Mgr). 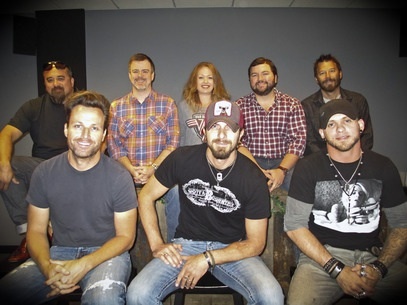 Singer-songwriter Brian Davis has signed a publishing deal with Warner/Chappell Music Nashville and its publishing partner, Brantley Gilbert’s Write Or Die Music. Davis has written songs cut by his frequent co-writing partner, Valory Recording artist Gilbert (“Lights of My Hometown,” “One Hell Of An Amen,” “Read Me My Rights), Curb recording artist Lee Brice (“More My Style”), and Sony Music Nashville newcomer Tyler Farr (“Wish I Had A Boat”) among others. 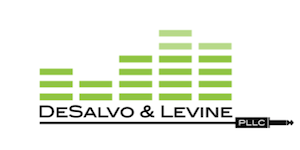 Nashville law firm DeSalvo & Levine PLLC has added Alan E. Korpady to the firm as a senior associate. Mr. Korpady received his J.D. degree from the University of Wisconsin – Madison School of Law in 1981. He concentrates on intellectual property including entertainment, copyrights, trademarks, licensing and financial transactions, and related litigation. Korpady is also a dedicated guitarist and is working toward a Masters Certificate in Guitar from the Berklee College of Music Extension Program. Dera Shelton has been promoted to the position of Executive Assistant; Shelton graduated from Middle Tennessee State University. She has been with the firm for over two years and will provide administrative management for the growing firm. The 15th annual St. Jude Country Music Marathon and 1/2 Marathon presented by Nissan will take place on Saturday, April 26, 2014. More than 30,000 runners are estimated to take part, with runners representing all 50 states and 26 countries. Over the 14-year history of the race, runners have raised more than $23 million for many causes, including St. Jude Children’s Research Hospital. After its successful launch in 2012, the Mini Marathon distance will return. The 2.6-mile race starts at 6:45 a.m. at the start line adjacent to Centennial Park. At mile two of the race course, Mini Marathon participants will continue east on Broadway to 2nd Avenue, head North on Union Street, over the Woodland Street Bridge and finish at LP Field on 1st Street. Fifty of Nashville’s favorite live bands will perform along the course.